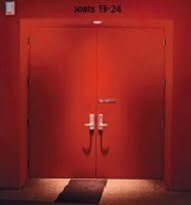 If You’re In The Market For Soundproof Doors, Then Acoustic Steel Doors Are The Perfect Doors For You. Best Brothers Group Our Exclusive Acoustic Door Company Because Of The Outstanding Sound Transmission Loss And Appearance That BBG Offers With Their Steel Commercial Doors. All Doors Come Complete With Acoustic Steel Frames, Perimeter And Bottom Seals. Our Acoustic Steel Doors Are Available In 1 3/4” Thickness, From STC 33 To STC 53. Our Soundproof Doors Are Available At A Greater Thickness, From STC 54 To STC 64. These Units Are Designed To Accept Readily Available Heavyweight Builder’s Hardware. Each Door Is Available With Factory Pre-Installed Acoustic Glazing. Amazing Doors & Hardware Has A Reputation Of Being The Go-To Door And Hardware Company For South Florida, Since 1985. We Take Pride In Choosing Manufacturers Who Offer A Reliable Product And Unmatched Customer Service. Ambico Has Long Been A Leader In Acoustic Steel Doors, Which Is Why We Are Proud To Carry Them Exclusively. Regardless Of The Type Of Soundproof Door You Need, Our Experienced Staff Will Work With You To Match Your Need To Our Product. You’ll Be Sure To Find Exactly What You Need With Amazing Doors & Hardware. Start Your Order Today By Calling Us At 1-888-224-8688 Or By Filling Out A Quotation Request Form .